Herschel Walker's Basic Training was a book that was put out by Herschel,along with Dr. Terry Todd, a former powerlifter., as a fitness guide. Two editions of the book were printed, the first, shown above, came out in 1985. 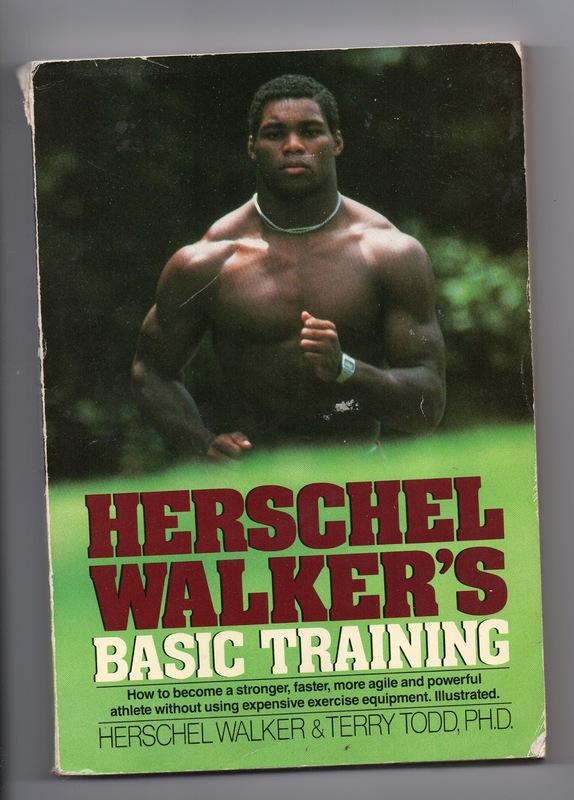 The book outlined three 12 week physical training programs, which included bodyweight exercises, which Walker was famous for, along with weight training, explained in detail by Dr. Todd. As can be seen, my copy is well used. 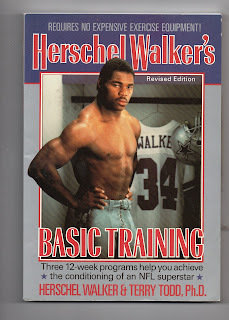 I actually tried the program, and though I'm a far cry from being built like Herschel, it is a pretty effective way to get in shape. Below is the second edition of the book, which first appeared in 1989. Really, the only difference is the cover, which shows Walker, then with the Dallas Cowboys, in a locker room setting. These books are long out of print, but they can still be found online, albeit at very high prices.